Number of championships: Football League Championship (First Division/Second Division) – 2 times; Third Division – 1 time; South Regional League – 1 time; South "D" Wartime League – 1 time; Southern Football League Division Two – 1 time. Number of Cup wins: Full Members Cup -1 time; London Challenge Cup – 1 time. * Book Official Crystal Palace Tickets Now! * Crystal Palace Tickets Have High Demand, Don't Miss The Opportunity. * Crystal Palace Tickets Are 100% Guaranteed. Crystal Palace, also known as "The Glaziers" or "The Eagles", are an English professional football club based in South Norwood, London, known for playing in the Premier League. Crystal Palace was officially formed in 1905, but an amateur club had already been formed at the Crystal Palace exhibition building in 1861. This club was one of the founders of the Football Association and even competed in the first FA Cup. In 1895, the FA Cup adopted Crystal Palace as a venue for the FA Cup final. Wishing to draw more tourists to the spot, the owners of the building eventually came up with the idea to form their own team. The club was initially formed under the name "The Glaziers" and began playing in the Southern League Second Division. Success over the following years led to several promotions until it reached the Football League Second Division in 1920-21. During this period, the club had won the London Challenge Cup three times. However, later on, they were relegated again, and remained in Division Three South until 1957-58, and later in the newly formed Fourth Division. After the appointment of Arthur Rowe in 1960-61, the club began improving once again and achieved several successive promotions, until it reached the First Division in 1968-69, where it stayed for five years. The following two decades saw the team relegated and promoted back several times; however, in 1992-93 it finished tenth in the league, allowing it to become one of the founding members of the Premier League. Later in the 1990s the club was relegated again, earning it the reputation of a "yo-yo club". From 2000 onwards, the club experienced financial troubles, and fell into administration several times. In 2010, several wealthy fans purchased the club and after some hard work and dedication, the club finally climbed back into the Premier League in 2012. 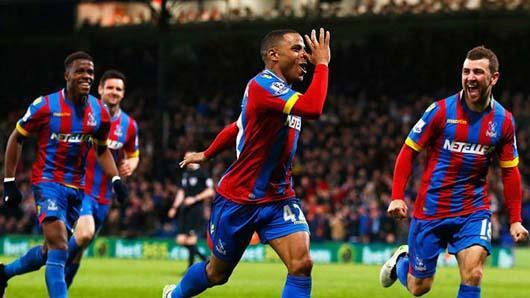 What is Crystal Palace's Most Successful Period? The club's most successful period was the 1990s, under the management of Steve Coppell. During this time, the club boasted several great achievements, such as being runners up for the FA Cup in 1990, winning the Full Members Cup in 1990-91, placing third in the First Division in 1990-91, winning the Football League Championship in 1993-94, and winning the play-off in 1996-97. How to Buy Crystal Palace Tickets on Ticketgum? Choose which Crystal Palace game you would like to attend from the selection at the top of this page. Choose where you would like to sit in the stadium, update the ticket quantity and click "Buy". Log in with an existing account or enter your email address to create an account. Check the "I agree to the terms and conditions" box and click "Continue". Choose how you would like to pay and enter your details. Confirm your Crystal Palace tickets purchase, and a confirmation email will be sent.